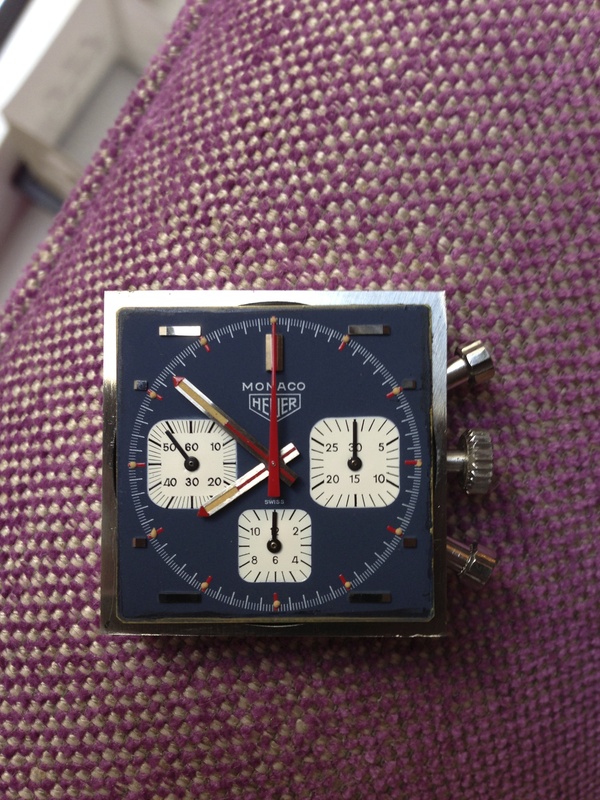 This watch had never been opened in its life. Upon close inspection I saw a thin black line on the edge of the crystal that indicated the notorious problem with these watches was indeed a reality. The gasket had melted. It is an incredibly sad thing to see such a stupid problem have such a rough impact on a piece such as this. 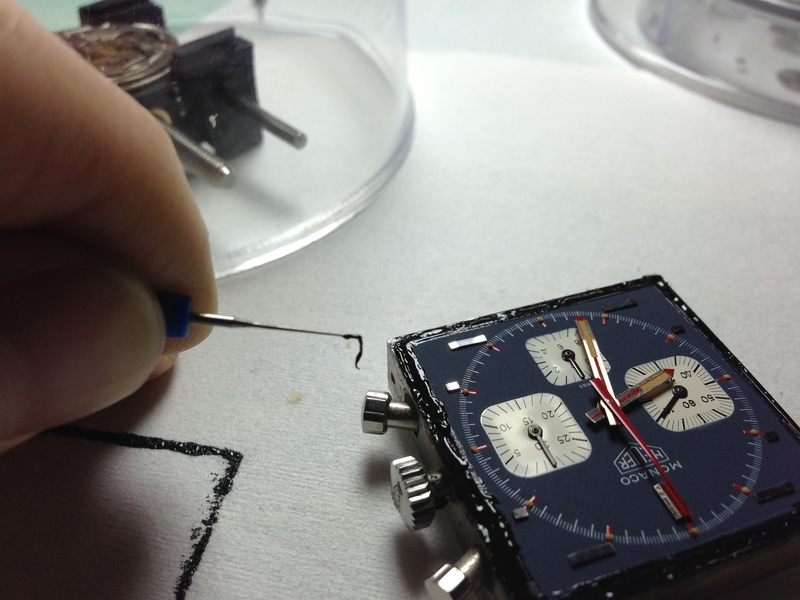 Worse than the gooey mess that the melt leaves behind, the melted rubber is ever so slightly acidic, and so its contact with the dial can eat away at the finish and the metal. 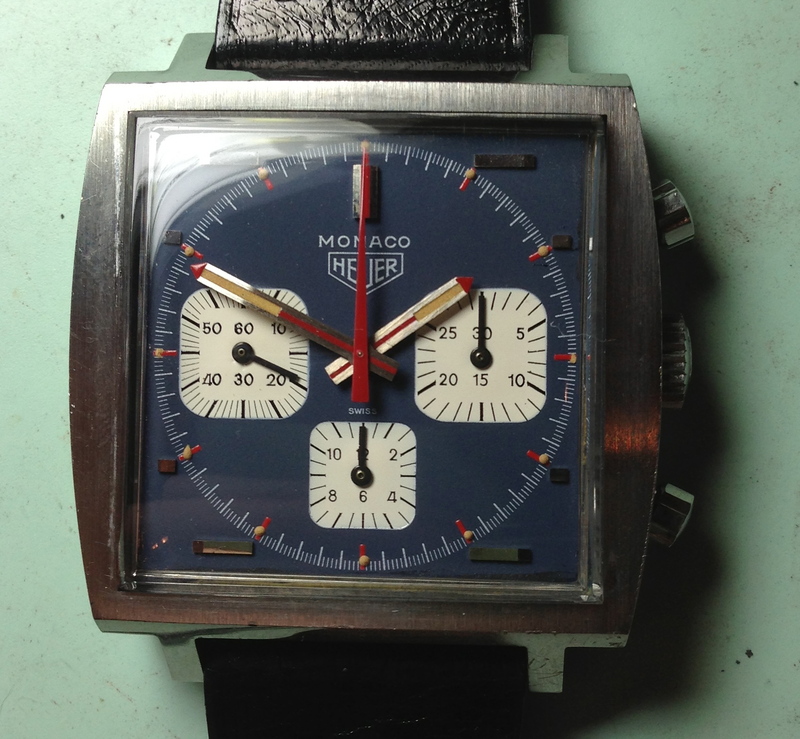 Incredibly the damage was minor given that this watch had been sitting in a box for 20 years. 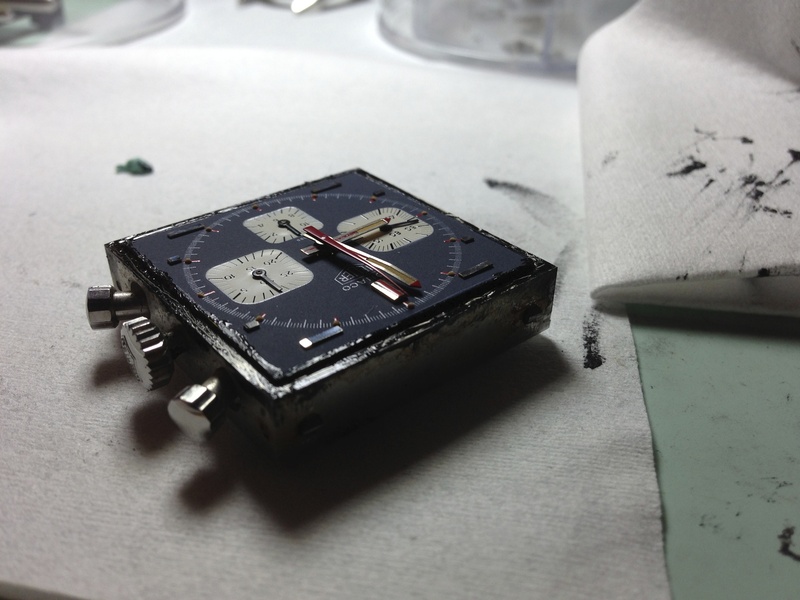 After carefully removing the melted rubber from the dial, the case was much easier to get to. A run through the ultrasonic cleaner and it was as good as new. Once done with the annoying, messy, and time-consuming task of the gasket clean up, I finally got to the movement. 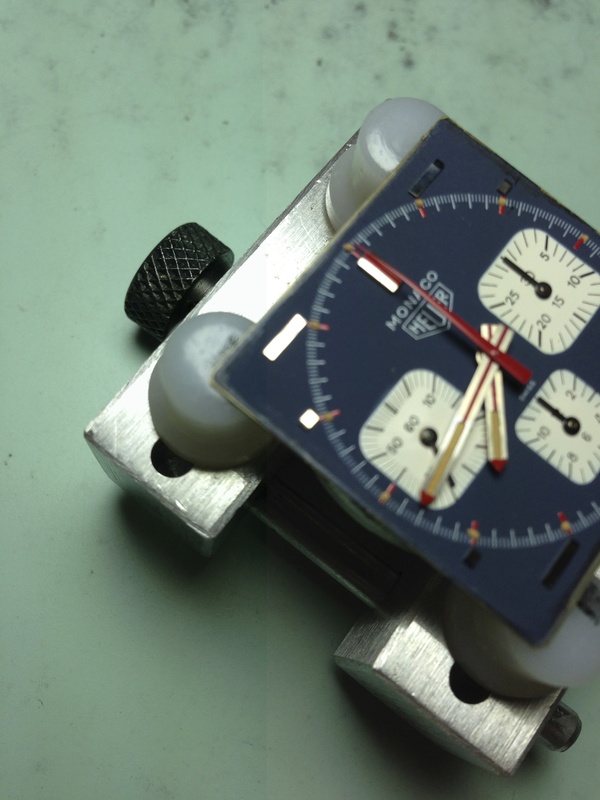 From the second I received this watch I knew that the movement was perfect. 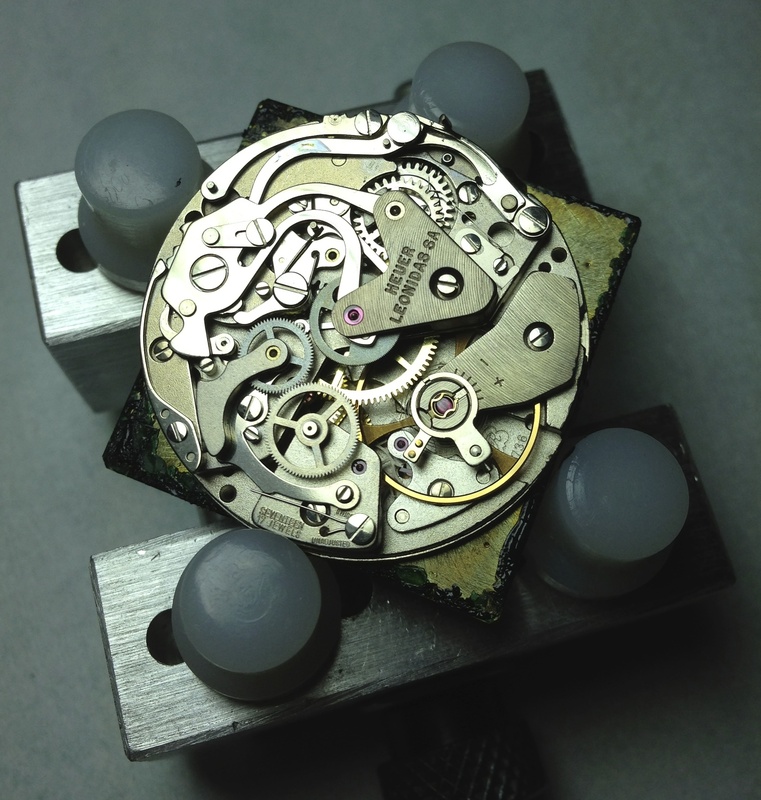 Valjouxs are easily the most reliable mass-used vintage chronograph movement. This Caliber 7736 was no exception. A full wind and a ride on the Timegrapher (a machine, or actually a fancy microphone, to check the time-keeping accuracy) indicated that this piece was maintained with care and was in pristine, like-new condition. 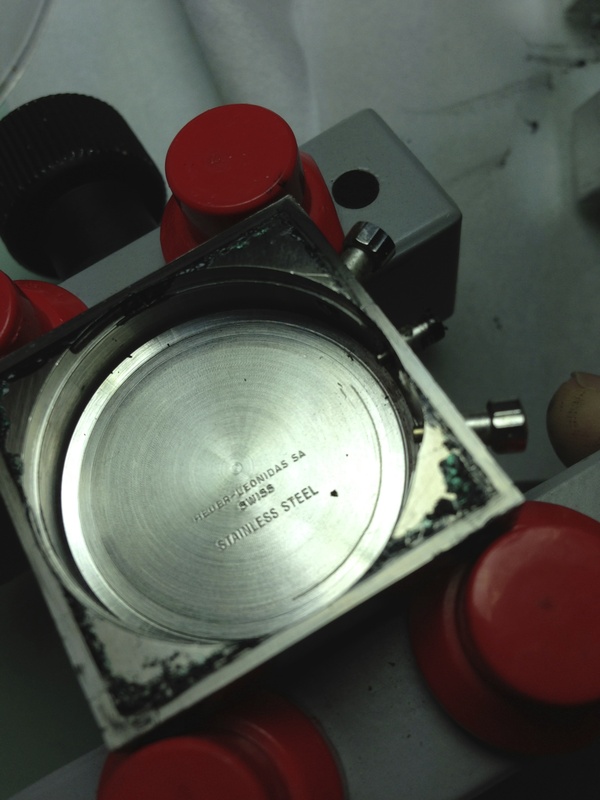 The gasket melt, although treacherous on the dial, must have helped to form a hermetic seal that prevented even a speck of dust from getting in to the movement. I gave this a disassembly, cleaning, and oiling, and put it on the timegrapher again to make sure I didn’t screw anything up. Sure enough it ran just as well as before. After adding a new modern gasket, a new crystal, and a new band I could give my friend the assurance that his father’s watch was like new again. 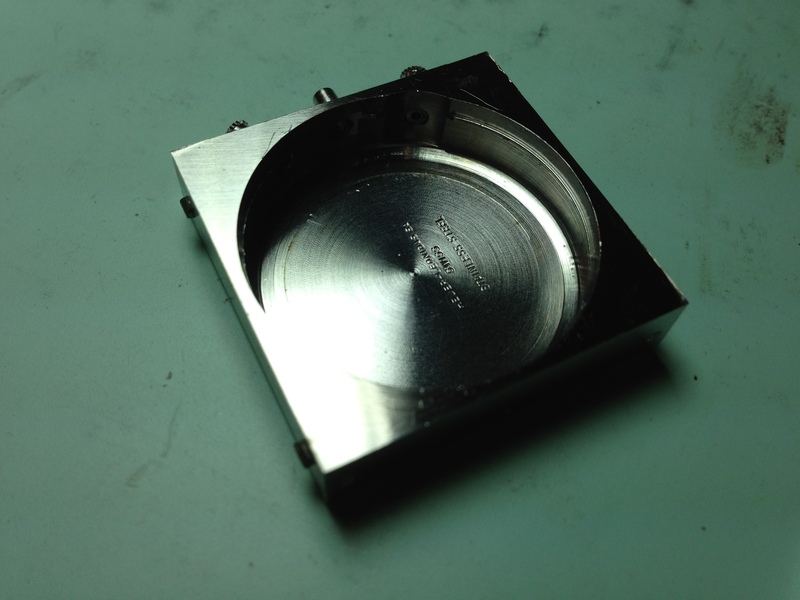 Although some of the dollar value had been hit by the melt of the gasket, the sentimental value of the piece was preserved.